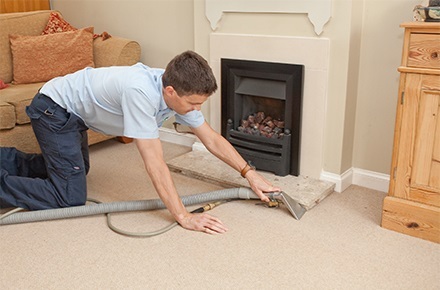 Apple Clean are the Kingston carpet, curtain and upholstery cleaning experts. 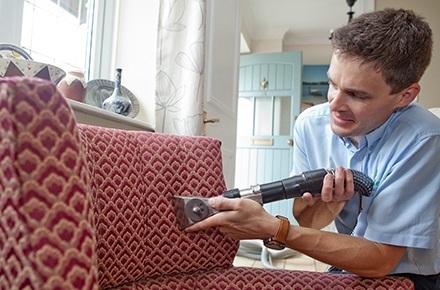 Local for over 25 years, we provide high-quality carpet, curtain and upholstery cleaning services in Kingston and across Surrey. For professional domestic and commercial stain removal or carpet, upholstery or in-situ curtain cleaning in Kingston, get in touch with Apple Clean for an unbeatable personal service. Hi, I’m Jonathan and for over 25 years I’ve been supplying carpet, curtain and many other cleaning services to homes and businesses in and around Kingston. My beliefs have always been that the best way to success with a local business is to offer an exceptional service which is both professional and personal, giving great customer service and achieving excellent results. Give me a call today and I’ll explain what we can do for you and I’ll give you honest and realistic advice. At the same time you can get an instant no-obligation quote. 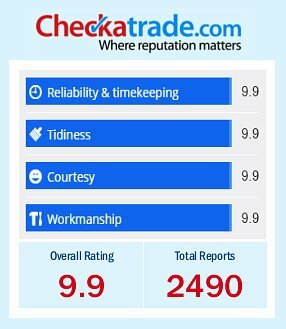 We are very proud members of the Check-a-trade scheme as it enables you to see certified and genuine reviews from past customers in and around Kingston. You can also use it to provide your feedback. We have over 2400 reviews and an average score of 9.9 out of 10! Give us a call us now on 0800 587 4571 to find out more about the cleaning services we provide to homes across Kingston and how we can help you. 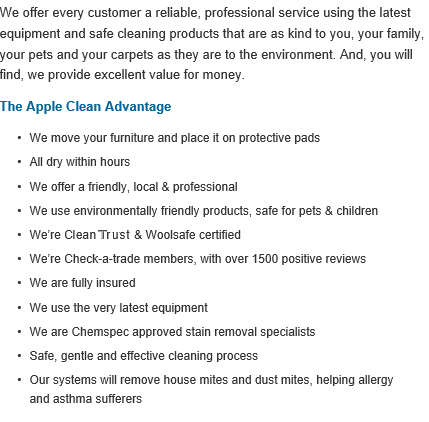 Apple Clean offer a wide range of cleaning services to our clients in Kingston and its surrounding areas, from carpet cleaning, in-situ curtain cleaning and rug cleaning to upholstery, leather and specialist fabric cleaning. We are proud to be able to fulfil all sorts of furniture cleaning needs that our clients in the Kingston area require. We are often regarded by our many happy clients in Kingston as the number one fabric cleaning specialists in the area which is supported by our range of positive testimonials that have accumulated over the last 25 years. We maintain the same approach with all our clients, assuring them that no job is too big or too small for the professional cleaning experts we have as part of our specialist team. We cover all the different areas of furniture cleaning including stain removal and Scotchgard application. Our experienced professionals are extremely courteous and will ensure that your furniture is safe and secure during the cleaning process. All our operatives are keen to build a positive relationship with our clients and will take on board all your specific requirements upon arriving at your property whilst also providing you with all the answers you need surrounding Apple Cleans specialist service. We use our gentle techniques to lift the dirt or stain from the fabric, taking great care at all times so as not to harm any surrounding furnishings. We can turn up at your home and provide the cleaning service there for you so that you are left with minimal inconvenience. We can make the most of our Scotchgard product to protect your fabric from future stains, meaning your furniture stays looking its best long after we’ve completed the job. Apple Clean have some of the leading cleaning solutions available at our disposal so you can rest assured that we will treat your living room curtains, leather sofas or office carpet with the most effective cleaning service. If you are interested to learn more about how Apple Clean can provide you with the cleaning service you require for your property in Kingston, get in touch with us today or use our contact form to receive a quote from Jonathan. Monday: 8:00 a.m. – 8:00 p.m.
Tuesday: 8:00 a.m. – 8:00 p.m.
Wednesday: 8:00 a.m. – 8:00 p.m.
Thursday: 8:00 a.m. – 8:00 p.m.
Friday: 8:00 a.m. – 8:00 p.m.
Sunday: 8:00 a.m. – 8:00 p.m.